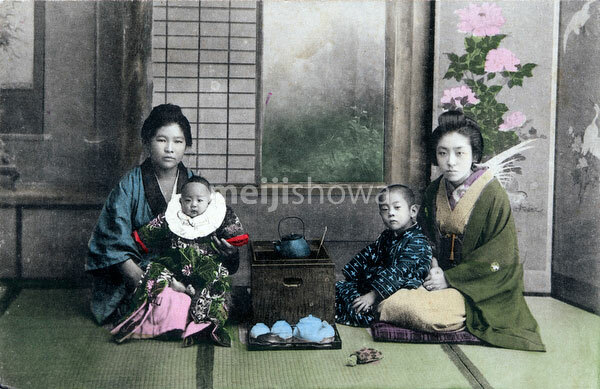 Two mothers in kimono and traditional hairstyles and their children. They are seated next to a hakohibachi, a brazier encased in a wooden box. On the floor is a tray with a teapot and cups.